Directions: From Winter Park, take I-40 north through Fraser and just before you reach Tabernash, make a right (east) onto 83. At the T intersection with 84, turn left (north) and left again onto Strawberry Road, there is a BLM sign. Continue for just a little ways and look for the opening in the fence on the right (see photo in gallery). There is room for a few cars to park here. 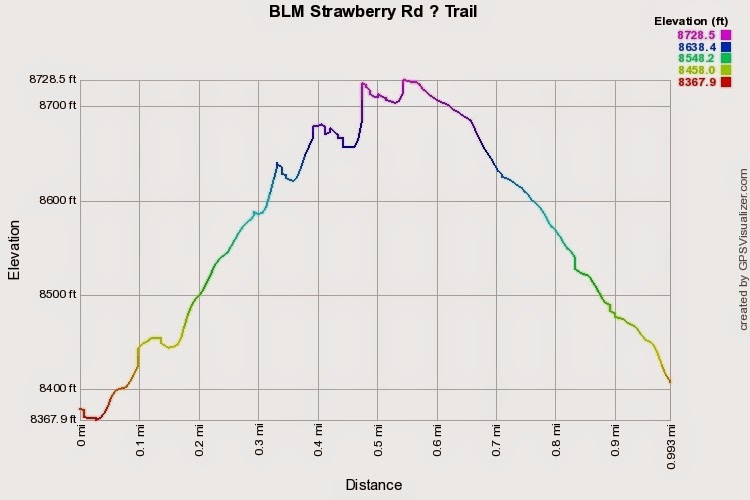 The BLM's Strawberry Area is an unmarked trail system that is just begging to be explored. This trail is a fairly obvious one and easily accessible. Hiking for just 1/2 mile takes you to a viewpoint with a great view across the valley to Winter Park ski area and the Front Range peaks beyond. From the fence, follow the trail as it skirts up the side of the hill and enters the forest. Much of this forest consists of regrowth from fire and pine beetle kill, but the brilliant green undergrowth provides a wonderful contrast. As the trail winds through the trees, look to the left for a rocky outcropping, this is your viewpoint. Continuing on the trail you'll soon come to a fork in the road. The trail to the left heads down to meet up with Forest Road 2751, the right fork continues up the mountain.